The big reds and trout were out to play with us today!! Posted in Fishing Charter Pictures, Fishing Charter Recent Posts	| Comments Off on Some Strong Fish Today! Just a sampling of the memories we made today! Posted in Fishing Charter Pictures, Fishing Charter Recent Posts	| Comments Off on Pics Of The Day! Always a joy watching youngsters enjoy themselves on the water!! Mom got in on the fun too!! Posted in Fishing Charter Pictures, Fishing Charter Recent Posts	| Comments Off on Kids, Fishing, Fun! The water temperature is starting to cool and the fish are biting! Posted in Fishing Charter Recent Posts	| Comments Off on Fall Colors! Aaron and Dory had some good action on the flats catching redfish, spanish mackerel, speckled trout, sharks and flounder! Posted in Fishing Charter Recent Posts	| Comments Off on Action On The Flats! Colby had never caught a tarpon or triple tail; well that all changed today! He caught a monster tarpon around 180#s and a giant triple tail at 22#s…….mission accomplished!!!! Posted in Fishing Charter Recent Posts	| Comments Off on Bucket List Fish Aquired!!! Grandpa, Dad and Grandson Making Memories! It’s always enjoyable watching three generations of men share quality time on the water making memories!! 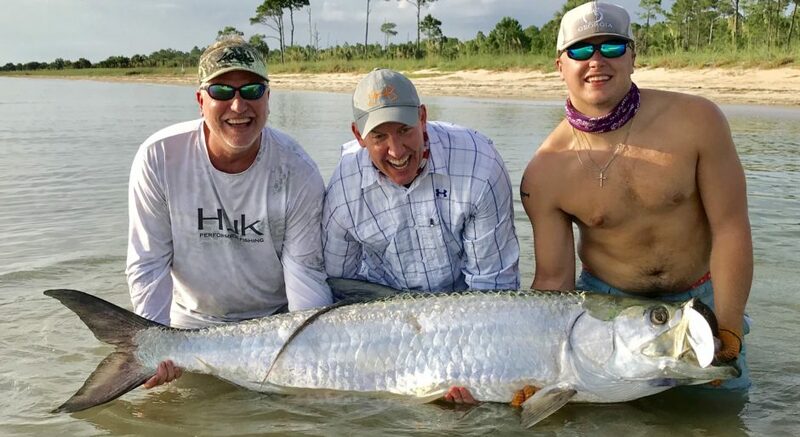 Posted in Fishing Charter Recent Posts	| Comments Off on Grandpa, Dad and Grandson Making Memories! “Redfish Strong” should be the new slogan for David, Steven and Dave! Posted in Fishing Charter Recent Posts	| Comments Off on Redfish Strong! Great Fish and Awesome Clients the Past Few Days! Triple Tail, redfish, flounder, trout, sharks, spanish mackerel and other species the past few days!! Posted in Fishing Charter Recent Posts	| Comments Off on Great Fish and Awesome Clients the Past Few Days! Up and Down Day, Ended Strong! Posted in Fishing Charter Recent Posts	| Comments Off on Up and Down Day, Ended Strong!